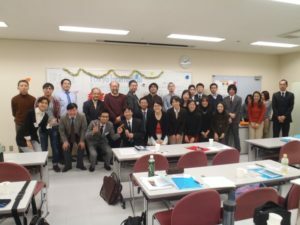 Tokyo International Toastmasters Club was launched on February 28, 2007. Club Info: Our club belongs to Area 93, Division I, and District 76. 1. Our club meetings are based in Curian in front of Ooimach station. We are the oldest Toastmasters Club in Shinagawa ward. It is conveniently located in the central Tokyo, and has a good access from Shinagawa, Marunouchi, Otemachi, and Shimbashi. 2. We proud to be a bilingual club, so we practice speeches in both English and Japanese. 3. We have regular meetings every other Wednesday. We also have special fun events such as workshops, boot-camps and dinner meetings. 4. We will give you a positive advice to help you improve your public speaking skills. 5. We focus on becoming a good communicator. 6. Guests are welcome to attend meetings up to 3 times for free!